How Can You Remove The Chaos While Scheduling Interviews? Being an HR, how many times did you mistakenly schedule two interviews at the same time? Very often it happens that due to busy schedules, and workload we fail to schedule interviews correctly. Isn’t it? Resulting in inconvenience for the candidate and for the HR team too. Till date, we have been managing the interview schedules either on a notepad or on word files. But the things have changed with advancement in technology. Why do we need automated interview scheduling? It has been a nightmare for HR team while they schedule a wrong interview. And to address this problem, automated interview scheduling makes an entry. “The toughest of all is the continual juggling. HR’s don’t update their calendars, or they cancel and reschedule interviews instantly. Being the Manager we have to step forward and manage all the hassle by looking for an alternate interviewer for the moment. This obviously puts a bad impression on the candidate about the company” says Lin Lin Phan, talent operations manager at MuleSoft. So, interview scheduling is one such important concept which holds your company’s reputation, a small mis-managed task can lead to the bad reputation in the industry. What if you get a fully automated and error-free interview scheduling system which keeps updated information of all the scheduled interviews? You are in the right place. Let's get a quick view on the features of an automated interview scheduling system to make HR tasks simple to deal with. 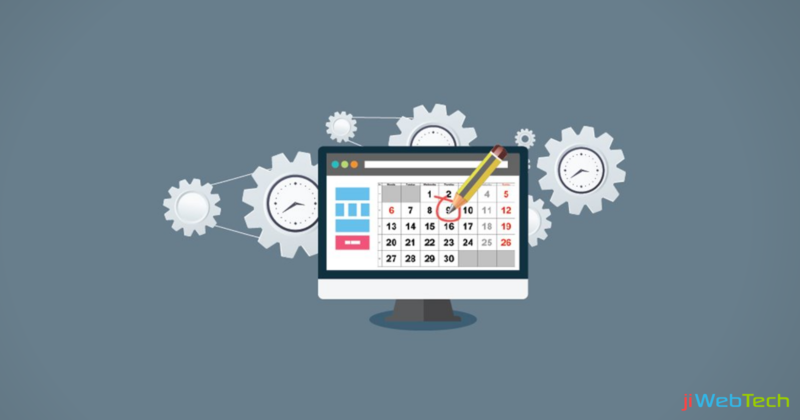 How will an interview scheduling system benefit your hiring process? Smooth hiring: The HR staff spends more time while scheduling the interviews and planning interview timings for the candidates. This directly means that the time which should be spent on hiring candidates gets compromised with the time spent on scheduling interviews. Introducing an interview scheduling system will offer you a clear and straightforward information of all the available time slots and the consumed ones. Updated calendars: Once you schedule the interviews for a particular date, or make a list of joining dates, the name of the candidates who got rejected, and all other information gets updated automatically in the calendar. It becomes easy for the HR team to get a clear and quick idea about today’s scheduled interviews and other updates. This keeps you updated and away from the possible errors. Eliminating the timing issues: Instead of mixing up with the scheduled interviews and assigning same timing slot to two candidates, interview scheduling feature allows you to get a clear information of the timings alloted to the candidates and schedule accordingly. This will save the time of the hiring team which was spent while re-scheduling the interviews. Looking for an interview scheduling software? If you are still managing your HR tasks manually in a laborious and time-consuming environment, its high time to switch. Going for a software that can manage all your tasks smoothly and in an error-free would be a perfect idea. So, before you step out in the market searching the perfect software for your organization, make sure it offers you certain features like it should have an easy integration with your calendar, and verify the pricing if its worthy enough or not. Remember! Higher costs will never assure you with quality services, there are software which assures you best services in a low budget too. Moreover, look up for a software which offers you demo sessions and free trials so that before purchasing you can make sure that is it worthy enough and compatible for your organization or not. The most important point, confirm if they are offering online support services, prefer if they offer 24/7 support to you. Once you are clear with these points, you’ll never regret the choice you made while choosing the software for your hiring team.